But how can you achieve that mysterious “KLT” factor? Is it something that some people have or don’t have? Is it something that can be manufactured? But perhaps you haven’t yet found a way to shorten the timeline between your ideal prospects not knowing who you are – and getting them to know, like and trust you. So the goal isn’t to manufacture it in some salesy “sleazy” way. The goal is to make people who are unaware of your brand, get to know, like and trust you – as fast as possible. The second part of that goal is to build your “KLT factor” using a strategy with the most leverage so you can reach as many people as possible. Imagine if you had to go out on the road and get people to know, like and trust you on a one-to-one basis. With only so many hours in a day, you would only be able to reach a handful of people. Yet that’s exactly what you’re doing if you are still only relying on referrals and networking events to expand your reach. That’s why using leverage to build your KLT factor is vital. And when we talk about leverage, email always wins. 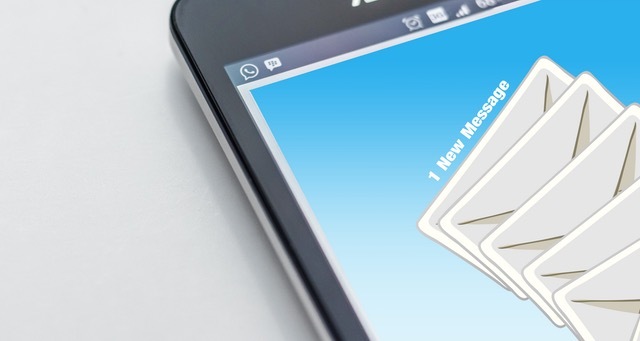 Our team at ZigiMedia has worked with clients in a variety of industries and still find one thing to be true: email remains the single, most effective way to stay top-of-mind and share meaningful content. Yet too many business owners aren’t consistent about getting new email newsletter sign-ups. If your only method of getting prospects to sign up for your newsletter is a small signup form at the bottom of your homepage, then it’s time to uplevel your game. We understand that building up your email list and creating valuable content is time-intensive and requires a hair-pulling amount of trial and error. But that doesn’t mean you have to wait until you “have the time” to get serious about email. Investing in an agency that can take care of your email needs might just be the best decision you ever made. Because the difference between starting now or “later” could mean the difference between tens of thousands of dollars when it comes time for your next promotion. Imagine if every time you went to the grocery store, the cashier preached about all of the things you should be eating. And while the advice is valuable and accurate, you started feeling dread every time you lined up for checkout. Although well-intentioned advice might be appreciated (sometimes), it can feel tedious in large doses. So don’t make the mistake of only posting boring professional content in your email newsletters. There is a real phenomenon called “content fatigue”. So balance your content with personal stories that give your readers an inside look into your real life and your authentic personality. Be sure to mix up your stories with not just positive personal anecdotes but your failures and weaknesses as well. This makes you appear more authentic so your readers feel like you’re a real person that they actually like (warts and all!). When most people open their inbox, they see promotion after promotion. Don’t be one of the same. Instead of only emailing when you want to sell something, deliver unexpected value that your prospects would pay for. This might be a free workshop (sales pitch-free) or a video course for email subscribers-only. When your free content is as good as other people’s paid content, your prospects can’t help but wonder how good your paid content must be. This high-value free content makes the walls of skepticism come crashing down so people feel more at ease buying from you. Beyond unexpected value, testimonials and case studies are an essential ingredient to building trust. Sprinkle in real client stories into your email newsletters to engage your audience and demonstrate with real-life examples the types of results prospects can expect from your products and services. What is your single, biggest challenge when creating your email marketing strategy? Want to dive deeper in creating an email strategy to boost your brand’s “KLT Factor”?